This lovely fiddlehead bunny is suitable for fairy gardens in inside and outdoors. This is a caring bunny, tending the plants while her friends are off playing elsewhere. First and foremost she wants to take care of nature, plus she loves seeing the flowers bloom. 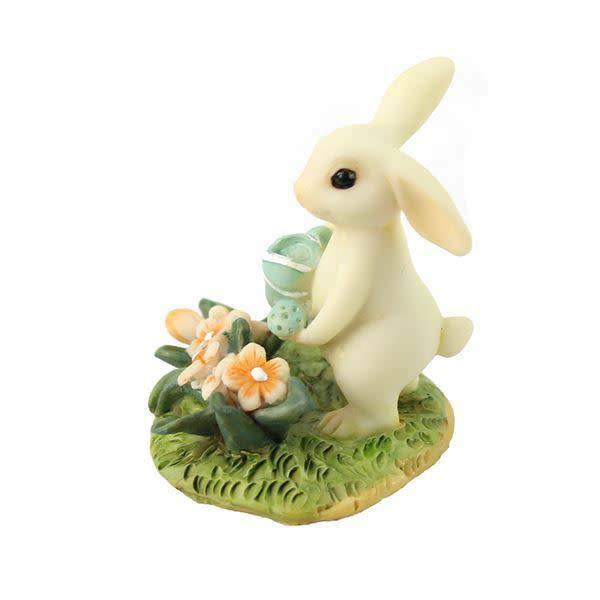 Our little bunny is part of the Fiddlehead fairy garden collection and stands around 4.5cm tall. She's made from polyresin and fine to be placed outside all year round.